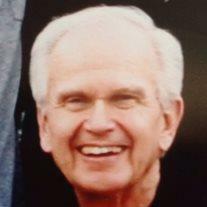 Michael Terry Pickett “Mick”, 69 of Mesa passed away on February 24, 2014. He was born on July 6, 1944 in Burley, Idaho, to M E Pickett and Vesta McKinlay. He graduated from Idaho Falls High School and received a degree in Business from Brigham Young University in 1967. Mick worked in the travel industry for over 30 years. He served a mission to New Zealand and was currently an ordinance worker in the Mesa Arizona Temple. He is survived by the love of his life, Wilhelmina Nielson Pickett, and his children, M. Todd (Penni) Pickett, Shondelle (Jason) Hales and eight grandchildren (Nichole, Kristine & Zoe Pickett and Macy, Porter, Marlee, Addison & Sadie Hales). Surviving siblings include a brother, Philip Pickett and a sister, Peggy Price. He was preceded in death by his parents and a brother, Sydney Pickett. The visitation is Thursday, March 6, 2014 from 6-8 PM at Bunker’s Garden Chapel (33 N. Centennial Way – Mesa). Funeral services are on Friday, March 7, 2014 at 10AM preceded by a visitation from 9-9:30 AM at the LDS Church, 2835 E. Des Moines Street in Mesa.